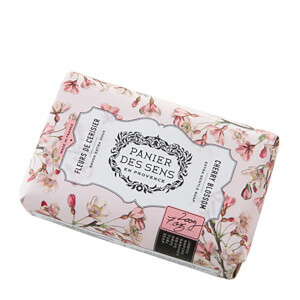 Experience an aromatic cleanse with Panier des Sens Shea Butter Soap Cherry Blossom, an extra gentle vegetable soap enriched with nourishing Shea Butter. 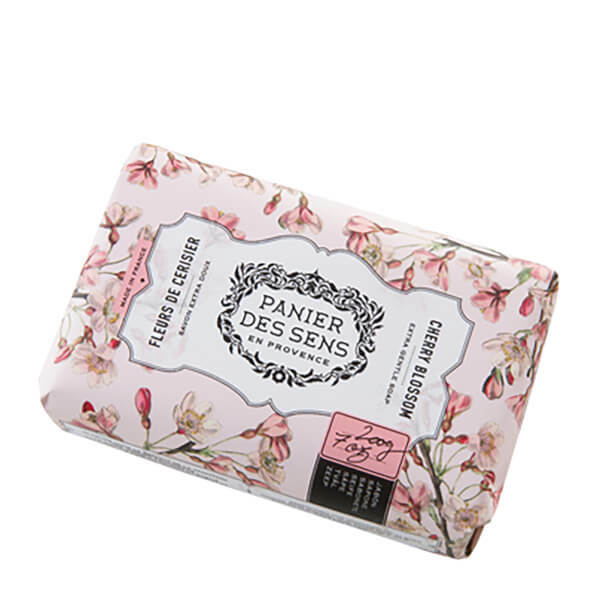 Suitable for daily use, the mild soap can be used to cleanse both the face and body, and works into a rich, comforting lather. Gently eliminating dirt and impurities, the aromatic soap leaves skin feeling clean and purified while preserving its natural balance. Infused with the floral scent of Cherry Blossom to evoke springtime freshness. Wrapped in beautifully decorated packaging. Sodium Palmate, Sodium Palm Kernelate, Aqua (Water), Parfum (Fragrance), Sodium Chloride, Butyrospermum Parkii (Shea) Oil, Glycerin, Ci 77891 (Titanium Dioxide), Tetrasodium Etidronate, Tetrasodium EDTA, Helianthus Annuus (Sunflower) Seed Oil, Rosmarinus Officinalis (Rosemary) Leaf Extract, Ci 77492 (Iron Oxides), Ci 73360 (Red 30 Lake).